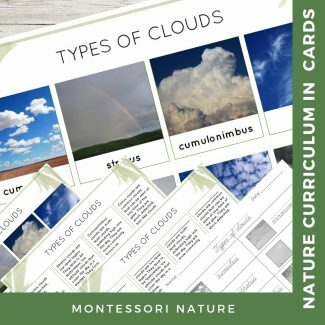 Types of Clouds – 3-part card activity and handwriting sheets. student printouts with black and white photographs, print, cursive tracing fonts and blank for colouring and practising handwriting. This printable is a part of the Nature Curriculum in Cards Series.